2019 prospect Chris Harris Jr. is planning to visit Texas Tech’s campus this weekend. The talented Texas made shooting guard visited Stillwater a couple of weeks ago, and is expected to make a decision shortly after his trip to Lubbock, with the basketball signing period opening back up on April 17th. Along with OSU and Texas Tech, the Texas A&M Aggies are the other school still in the mix for Harris Jr. The skilled young guard was granted his release from A&M after they fired head coach Billy Kennedy, but with the recent hire of former Viriginia Tech coach Buzz Williams, some think Harris Jr. may ultimately end up in College Station. Ahead of Harris’ impending decision, the PFB staff laid out their predictions for the future of the talented guard. Ragusa: Oklahoma State. The Cowboys seemed to take a solid lead after Harris Jr. visited campus. Multiple expert predictions came on 247Sports in favor of OSU, and the lone prediction on Rivals.com is in favor of the Pokes. However, as Cox and Marshall both mention below, the Red Raiders are making a strong push for the Texas product. 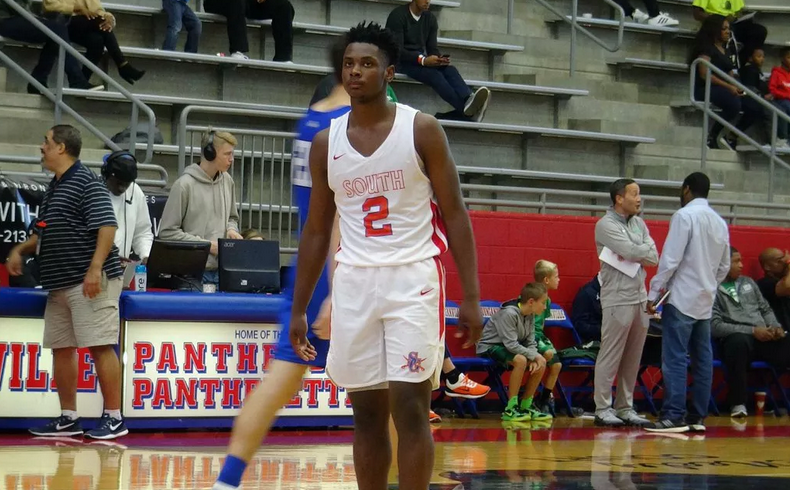 Their recent success, along with players like Zhaire Smith, a first round draft pick, and Jarret Culver, a likely soon-to-be first round draft pick, are certainly appealing for a talented high school prospect. In the end, I think he ends up picking OSU primarily due the relationship he has with current Cowboy guard Isaac Likekele and how much he and his family enjoyed their visit to Stillwater. Cox: Oklahoma State. I felt pretty confident with the Cowboys, who have come on strong after hosting Harris in late March. But, things could get interesting as Harris is now reportedly taking a visit to Lubbock. Chris Beard is not wasting any time just hours after his loss in the national championship game. Marshall: Texas Tech. I just think it would be hard to turn down a team that just finished playing in the National Championship game and has a lottery pick in Jarrett Culver. I think it’s going to be a tight race, though. Isaac Likekele chose OSU over Tech last season, and Likekele and Harris have a solid relationship. It’ll come down to relationships vs. recent success, and it just depends what Harris deems more valuable. Boone: Texas Tech makes sense. The program is red hot. The coach, Chris Beard, might be a top-10 strategist. Oh, and the team just went to the national championship. But here’s the deal: Davide Morretti and Kyler Edwards, two players who logged 32 and 18 minutes per game at shooting guard, respectively, are back next season. Adding to the clog, Tech’s highest-rated signee is a 6-4 guard likely to play off ball in Jahmius Ramsey. By process of elimination, OSU is the better destination if he wants real minutes right away. There’s a world in which he plays first-off-the-bench minutes at the 2 next season. When you factor in his kinship with Isaac Likekele, plus OSU’s superior history and traditions, I have to think he sticks with OSU.